Every industry in the world now is evolving, but I believe that the technology and video-game industry are the ones that are leading the evolution. From the 75MHz Pentiums to 4GHz AMD’s, or from 8-bit Mario to High Definition Max Payne, these two industries are leading in both “evolution” and “revolution”. I wanted to take the time to congratulate the people who have really led the technology industry to the level it is now. The list isn’t in any particular order, but it covers the people who I think have revolutionized the tech world. 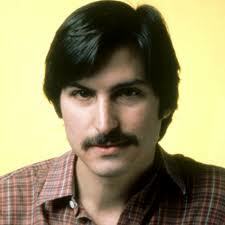 Nobody can argue that Steve Jobs has revolutionized the industry as we know it. One can argue that he really didn’t know more about technology as others, but without him, think about all the things you wouldn’t have. In 1984, with the release of the Macintosh 128K, sure it didn’t sell well, but it did change the way operating systems work, and changed the way All-In-One PC’s were made. In 2001, with the release of the iPod. It looked ugly, but before then, you either had an MP3 player, or portable Hard Drive, which aren’t very practical when we look back at it from now. In 2007 with the release of the iPhone, which we all know, changed the direction in which smartphones were heading. Steve Jobs really has changed technology as we know it. With a joint net-worth of over 40 billion dollars, Sergey and Larry have impacted your everyday lives, and most people probably don’t know who they are. 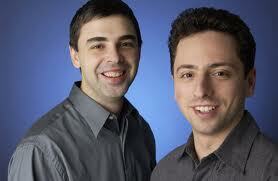 These two founders of Google have not only changed our everyday lives, but are two very smart businessmen. The 2007 acquisition of Android Inc., the upcoming Google Fiber, the very simplified browser, Google Chrome all prove that these two Stanford dropouts know what they are doing. These two nerds deserve a spot on everyone’s list; you probably used their invention to get to our website! Even though, he might not be so much of a business-man (at the time of this writing, his net-worth dropped from about 14 billion dollars to almost 6 billion), he is a super-nerd. 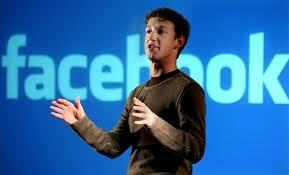 He dropped out of Harvard to pursue his dream, starting the most popular social-network in the world. Even though Facebook has only been getting about 20 million new users every year at the time of this writing, Zuckerberg still remains one of the revolutionists in the world. He may be the greediest man in the world, but without him, we probably wouldn’t have all the security we have now, we might not even have the current state of the Internet. 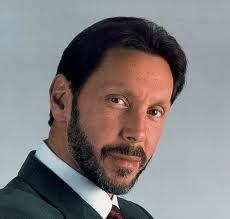 As the founder of Oracle, he has made many applications that are used in shops as you check out for security. They also develop Java, which is the backbone of the Internet now. They even supply servers for other companies to store information in that big room filled with computers, I think even Google uses them. He used to be the highest paid CEO plus he’s a billionaire, so this means only one thing: He’s in the computer industry. 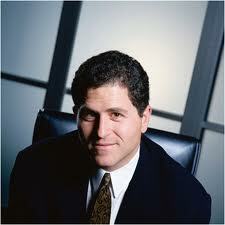 As the founder of Dell, you might be reading this article on one of his inventions. He started out building computers for small companies, and then soon, he managed to surpass the God of pre-built computers at the time, Compaq. I do still have a Compaq Evo D500 that I am working on, but at the same time, I do have some Dell PC’s. Dell now is the Disney of pre-built computers, and it will most-likely stay that way until another one like him comes around and changes the world once again. For now though, Mr. Dell remains the person who other hardware manufacturers envy.